Oxford University Press, USA, 9780199334414, 576pp. When a waiting world learned on April 12, 1955, that Jonas Salk had successfully created a vaccine to prevent poliomyelitis, he became a hero overnight. Born in a New York tenement, humble in manner, Salk had all the makings of a twentieth-century icon--a knight in a white coat. In the wake of his achievement, he received a staggering number of awards and honors; for years his name ranked with Gandhi and Churchill on lists of the most revered people. And yet the one group whose adulation he craved--the scientific community--remained ominously silent. 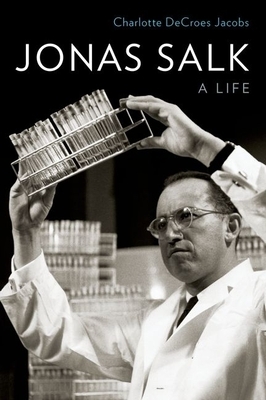 "The worst tragedy that could have befallen me was my success," Salk later said. "I knew right away that I was through--cast out." Charlotte D. Jacobs, M.D. is the Ben and A. Jess Shenson Professor of Medicine (Emerita) at Stanford University. She has served as Senior Associate Dean and as Director of the Clinical Cancer Center, and is the author of Henry Kaplan and the Story of Hodgkin's Disease.